For the best Argentine and Mexican dishes you need to be here! They serve big plates with food, also for sharing. The restaurant is located near Leidseplein, a lively area in Amsterdam, which makes it a great location to start your night out. We really enjoyed our meal here! Great friendly staff and delicious food! Owner/waiters were lovely and friendly. Family owned and had a really good atmosphere. Food was tasty, portions were smaller than appeared pictured on the menu. Overall a really good experience and would come again. Owner gave us free dessert which was so kind! Food was super expensive and the portions aren't even worth the money. Ordered a burrito half of the size you would get at chipotle for 14€ (!) Thank God we had the 50 percent discount. Otherwise we would have regretted eating there. The owner is a super chill and fun dude! He had fun at what he was doing! Conclusion: fun times, but not worth the lots of money you spend. Small and really nice restaurant! They let you feel like you are home! The service very fast and the staff is so friendly and the food really tasty! I will come back for sure! Very nice owner and host. Food was good and traditional. Thank you. My boyfriend and I had a reservation there yesterday. They were very welcoming :), we had a great service there. Both of us ordered fajitas. The portion was super big. I couldn’t finish the side dishes. They also provide extra tortilla and dips if you need more, cool! The ambiance and music also quite nice and you feel you are at a Mexican restaurant for sure ???? the only improvement area could be the fajitas itself, if they cook the meat a bit more tender that would be excellent! Love this restaurant! We come here whenever we want to celebrate special occasions. The service was fantastic, he put in a lot of effort to make us comfortable! Food was amazing, and there was plenty of it! 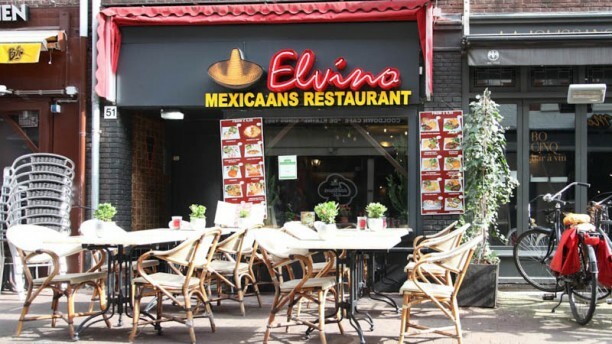 Would highly recommend for anyone looking for some good Mexican in Amsterdam! Chose this restaurant for our dinner on 31.12.2018. It is a tiny restaurant. Upon our arrival, although we ordered through the site we did not have a table. Luckily a table was liberated a short time afterward so that was ok. The menu is the usual Mexican taco and tortilla dishes. The prices are reasonable. However, the chicken taco I got was bland and they serve only one kind of margarita (lime). This restaurant is more suitable for a quick fast lunch than for dinner.